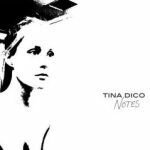 Tina Dico — Where Do You Go To Disappear? ♠ "Where Do You Go To Disappear?" 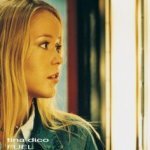 is Tina Dico's first regular studio album since "Count To Ten" from 2007. ♠ 12 new songs written and recorded in and around her new home in Reykjavik in collaboration with Helgi Jónsson. ♠ Dennis Ahlgren, known from all of Dico's previous albums, plays on the album along with American bass player Jon Estes and Icelandic drummer Thor Thorvaldur Thorvaldsson. ♠ Tina about the album: "The inspiration has been different this time. I'm surrounded by nature every day up here; it's very peaceful but at the same time there's a powerful force and so much energy just under the surface and that's a great engine for creativity!"